When it comes to keeping your property clean, it may be that there are plenty of projects that require a garden hose, a good cleaner, and nothing else. However, this is not true of every project. For larger or more difficulty cleaning jobs,hot water pressure washers in Houston TX are the answer you’re looking for. Is durability and longevity a top priority as you select the best type of hot water pressure washer? If so, then a diesel motor may be the right choice. These powerful machines can blast right through oil, grease, grime, gum, graffiti – you name it! Though they are strong enough to strip paint from a surface, they can also be adjusted for more delicate surfaces. Of course, due to the fumes created from the diesel fuel, these should be used only outdoors. You will find people who choose electric hot water pressure washers have many reasons for doing so. In some cases, they appreciate that they are so much quieter than their gas counterparts. Others appreciate that they can be used in unventilated areas, such as bathrooms and basements. Still others like that as long as they are plugged into an electrical outlet, they can essentially run forever. 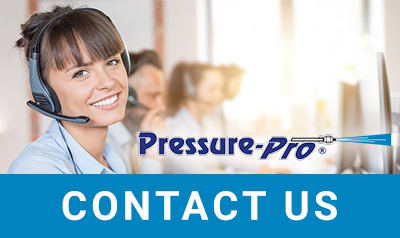 No matter which option you choose, Pressure-Pro is here to help you find the perfect hot water pressure washer for your needs. Feel free to check out our catalog and give us a call at 772-461-4486 or send us an email at with any questions.